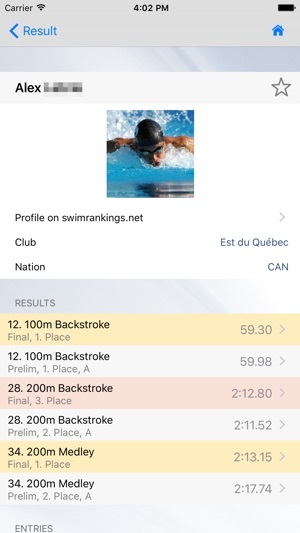 SplashMe is the must have app for competitive swimmers and everybody else who is involved or interested in swim meets. 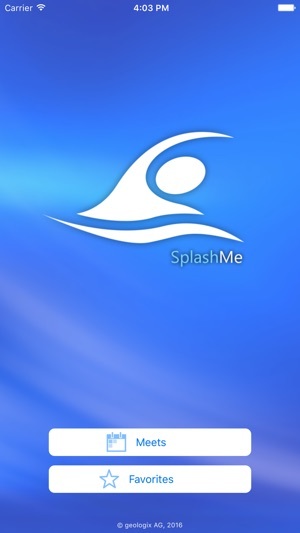 SplashMe brings swim meets conveniently to your mobile screen. 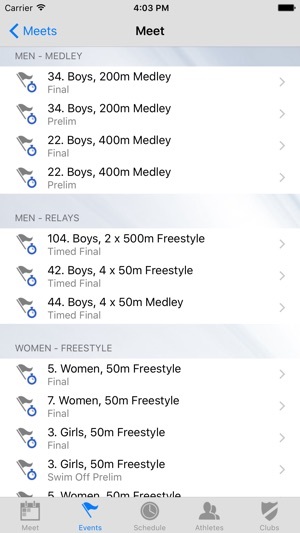 It provides you with real-time results, keeps you posted on meets, events, heats and lane assignments, and offers a lot more on top of that. In short, SplashMe packs loads of swim-related features into a neat and customisable app which is both user friendly and fun to work with. 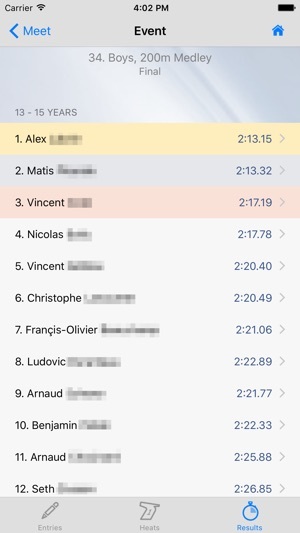 SplashMe is not "just another" swim app. 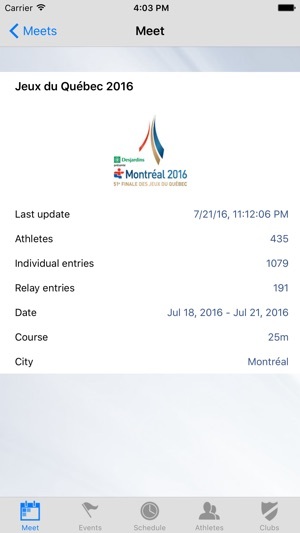 In fact, it is the only app able to link real-time to meeting results coming from Splash MeetManager. There are numerous reasons why SplashMe is susceptible to going viral among competitive swimmers and all those involved and interested in swim meets. Actually, not a lot more. And in case you just can't get enough of swim results or would like to do a more in-depth analysis, don't miss out on www.swimrankings.net!